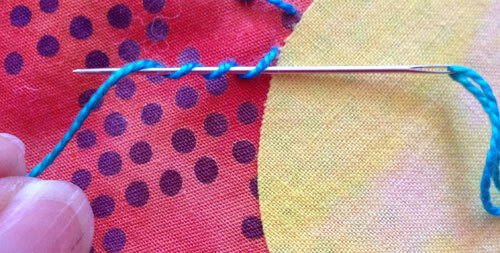 The Pistil Stitch is a relative of the French Knot only taller and sassier. 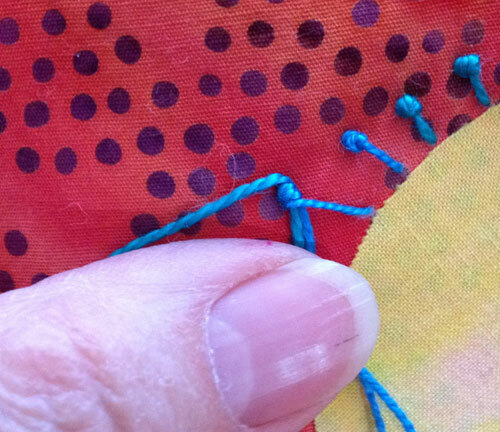 Making a Pistil Stitch is very similar to making the French Knot except you extend where you return the needle. 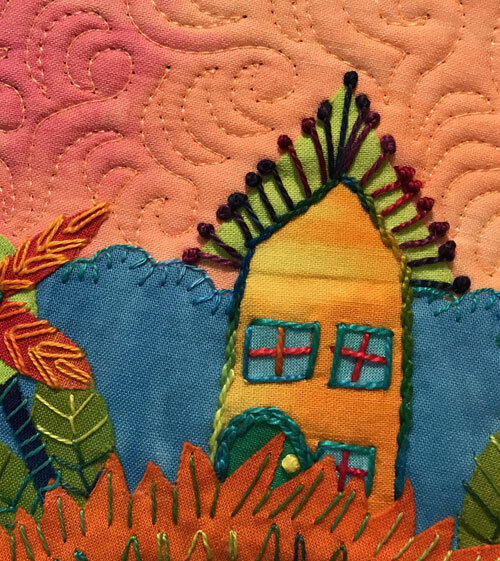 So, rather than sticking the needle back down into the fabric almost where it came out, you stick the needle about 1/4″ away from where the thread originally exited the fabric. Insert the needle tip 1/4’’ away from where the thread initially emerged from the fabric. Insert the needle halfway into the fabric. 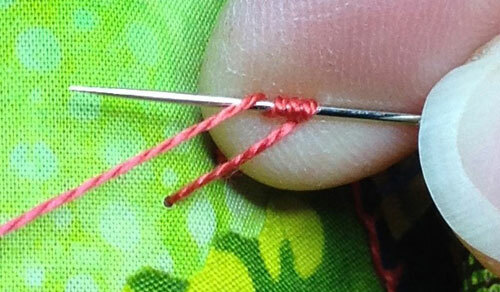 Continue to hold the thread in your left hand. Move your right hand to the back of the fabric and pop the needle through the fabric. Slowly draw the thread through to the back of the fabric. 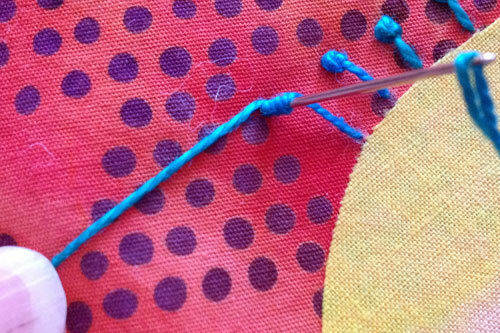 Place your left thumb on the threads near the knot to keep them from tangling.